Google Apps for Nonprofits allows your organization to reduce IT costs and helps your team collaborate more effectively. The suite of tools uses cloud computing to securely store and update documents, calendars and email in real-time - meaning you can access data anywhere, anytime. Google manages all of the updating and maintenance in the cloud, so you’ll never be required to install hardware or update software. And if you need help, we have a 24/7 support team available. If your organization is ready to begin using Google Apps for Nonprofits and is already in the program, just enroll with the instructions in your acceptance email. If you’re new to Google for Nonprofits, start by joining the program. Once accepted, we’ll send you instructions on how to enroll in Google Apps for Nonprofits and other great products. Need help getting started? Check out our step-by-step getting started guides that can help you get up and running successfully. And, don’t forget to join us tomorrow as we learn best practices for nonprofits from Google Apps experts in a Hangout on Air. Good news! As of today, any nonprofit organization that is part of Google for Nonprofits can get Google Apps for Nonprofits for free. Previously, the free version of this program was only available to nonprofits with fewer than 3,000 users. Now, whether your nonprofit is 10 people or 10,000, you are eligible to start using Gmail, Calendar, Drive and more. h Docs, minimizing costs through cloud based storage or managing international teams with Hangouts, we want to help make our tools work for you. One nonprofit, Samasource, has done just that. Samasource is a social business dedicated to reducing poverty by connecting women, youth and refugees to meaningful work over the Internet. They employ thousands of workers internationally and, since 2008, they’ve delivered over $2 million in wages. Samasource uses the suite of Google for Nonprofits products, specifically Google Docs, Spreadsheets, Forms and Calendars, to manage workers in multiple countries. By using Google Apps, they are able to efficiently run their operations at a low cost. See more of their story below. Want to learn more about how you can use Google Apps in your nonprofit? Join us Tuesday, February 26th at 10 am PT/1 pm ET on our Google+ page as we hear from Google Apps experts. Here at Google for Nonprofits we’re always looking for ways to help your organization thrive. Whether it’s brainstorming ideas with Docs, minimizing costs through cloud based storage or managing international teams with Hangouts, we want to help make our tools work for you. walked through the tools available in the Google for Nonprofits program and heard some great stories of organizations using those products in effective and exciting ways. As part of our new series, we want to share specifically how you can use this suite of products to go above and beyond for your nonprofit. So next up, we’re meeting two product experts who will show us how Google Apps can be used for nonprofits. They’ll share best practices with Google Calendar, Gmail and Docs, discuss real life examples and walk through how you can use Google Apps to organize a fundraiser. Join us Tuesday, February 26th at 10 am PT/ 1pm ET on Google+. Don’t forget to RSVP on our Google+ event. If you have any questions about Google Apps for our experts, leave them as a comment in the event. Last week, we walked through the tools available in the Google for Nonprofits program and heard some great stories of organizations using those products in effective and exciting ways. As part of our new series, we want to share specifically how you can use this suite of products to go above and beyond for your nonprofit. 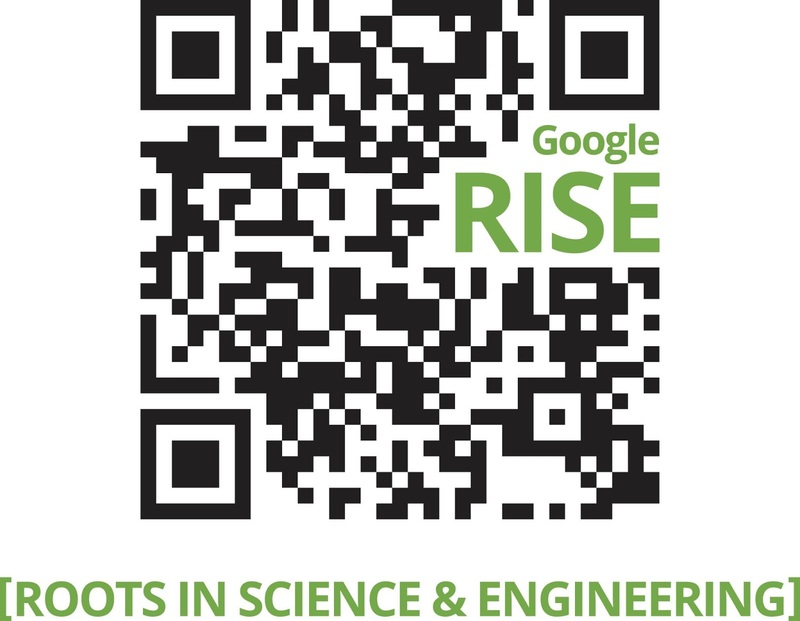 In addition to receiving funding and support to continue their outreach, RISE Award recipients will be brought together for a global summit this June in London. To paraphrase an old saying, from small seeds, great things can grow. 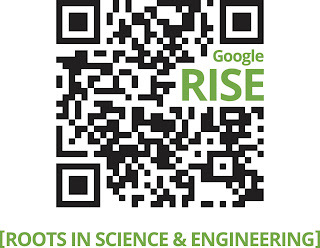 The recipients of the 2013 RISE Awards have already made a difference. Connecting with other like-minded organizations will help spread valuable and practical expertise, and spark opportunities for global collaboration and expansion. If you’re interested using these products at your nonprofit, your first step is to visit us on the Google for Nonprofits site. Click on the 'Join the program' button. Review the eligibility guidelines and then apply. If you’re organization is accepted, you can then choose what products you want to enroll in. Once enrolled, check out our learning resources to get the most out of these tools. You can also stay connected through our Google+ community. For the most up-to-date information, add us to your circle on Google+ and continue to follow us here on the blog. We’ll continue to share stories, tips and interviews with more Google product experts. Over the next few months, we’re focusing on how you can get the most out of Google for Nonprofits. We’ll be inviting a variety of experts to do deep dives into a number of products available through the Google for Nonprofits program. We’re kicking off our series with a Hangout on our Google+ page featuring Leslie Hernandez Dinneen from the Google for Nonprofits team. She’ll be sharing an overview of our program, what we offer and how you can get involved. Interested in attending? Join us Tuesday, February 12th at 10 am PT/ 1 pm ET. Don’t forget to RSVP on our Google+ event. If you have any questions for Leslie, leave them as a comment there. Not able attend the Hangout? Don’t worry. We’ll post a recording on our YouTube channel. What are your organization’s goals this year? To get more organized? To increase awareness? This year, our goal is to help you get the most from Google for Nonprofits. We’re going to start by getting back to basics and share trainings, stories and ways for you to master the core products available through Google for Nonprofits. Over the next several months, we’ll explore Google Apps, Google Earth Outreach, YouTube, Google+, Google Analytics and more.